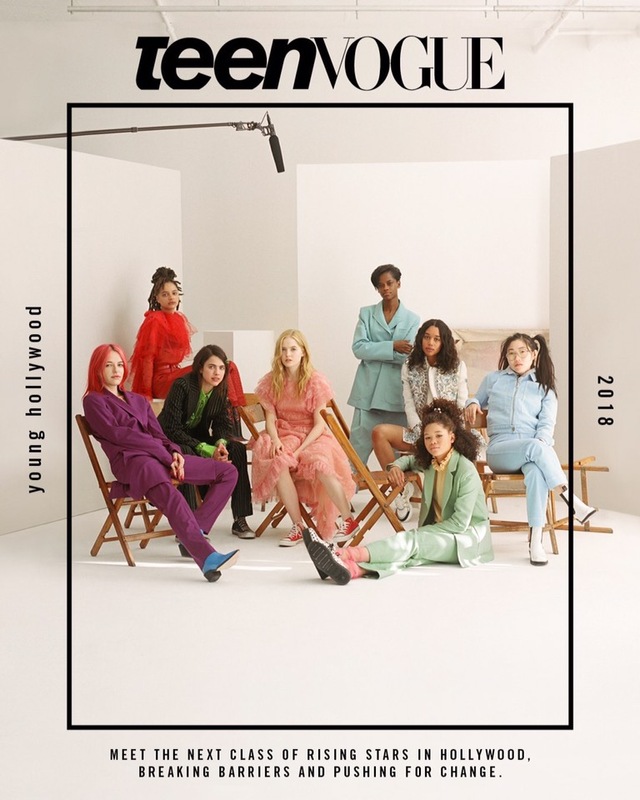 For all the ’70s inspired looks—of which there are still are many—the decade that follows is inching its way back in the style stakes. I am less thrilled about this turn of events because the ’80s feels a little overplayed, but that doesn’t mean I am completely immune. September is almost at an end, but there is still A LOT going on including galas, premieres and other various events. This week there is also dominated by pattern, which I am so here for. Speaking of which, here is my interview with costume designer Lorraine Calvert talking all things 1970s menswear and Mark Felt: The Man Who Brought Down the White House. Garish patterns are my fave. 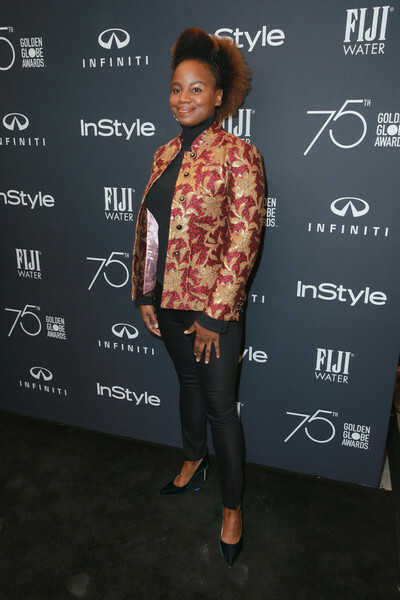 Lupita Nyong’o gives great red carpet no matter the style code and at the 2017 Global Citizen Festival in Central Park she looks cool af in Gucci pink metallic bomber jacket, loafers and super round sunglasses. Also working the tee of the event to great effect. Vampire’s Wife is a brand that continues to deliver on the romantic infused ruffled delights and now January Jones is getting in on the action. This mini metallic floral number is one of the reasons I’m thinking a ’80s revival isn’t so bad. Also, Last Man on Earth is back on Sunday (October 1) and I cannot wait. Airbnb is getting into the tour business and for the ultimate SATC experience they’ve enlisted Carrie Bradshaw herself, for this one-off event. It is of course sold out (there were only four spaces) and at the launch, SJP gives the best in fall fashion in a floral frock and contrasting belt. Sparkly pumps are always a winner too. 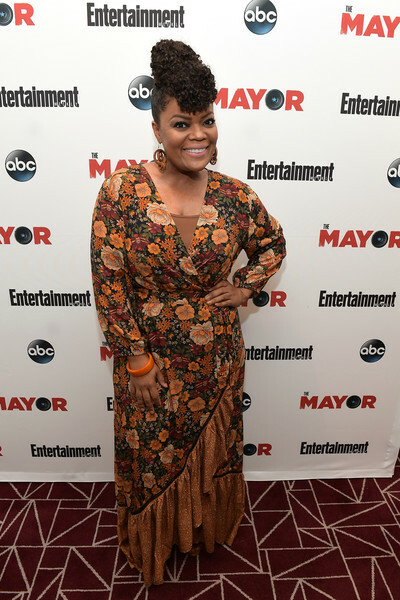 And while I am on the topic of perfect floral frocks for fall; here is Yvette Nicole Brown looking fabulous at a screening of The Mayor, in a dress from Anthropologie that is the most autumn of color palettes. Anna Chlumsky is doing some wonderful things on a wonderful season of Halt and Catch Fire and at the Metropolitan Opera Opening Night she looks incredible in Christian Siriano. The peplum structure and window pane detail makes this a standout frock and the orange tone lipstick and nails are the perfect boost of color. From the opera to the ballet and Keri Russell in a look that is very Americans era appropriate and while Philip and Elizabeth don’t get to go undercover at fancy events, if they did then it would look a bit like this. But with more wigs. This is another frilled number from Johanna Ortiz and I was surprised that she didn’t wear this designer to the Emmys. More from the ballet and Michelle Monaghan ups the drama levels in a colorful and floaty Prabal Gurung dress. 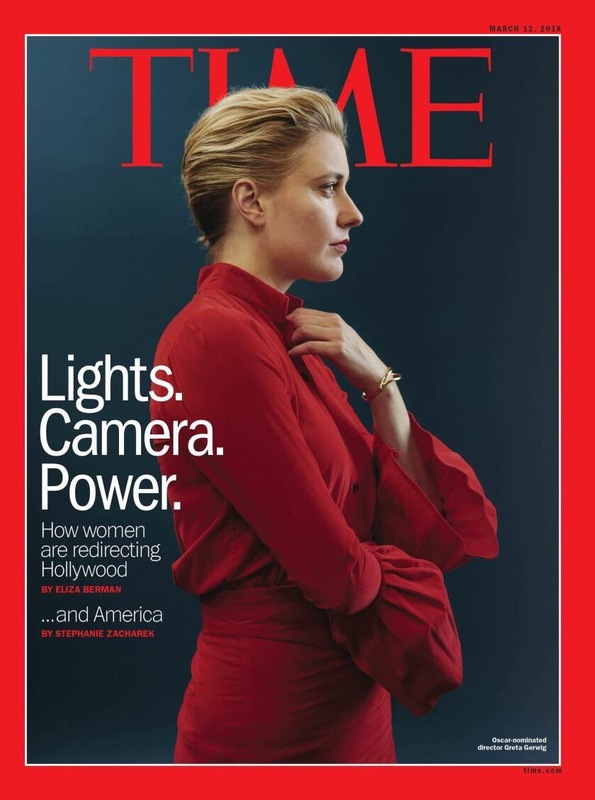 Maggie Gyllenhall is up there with Tracee Ellis Ross and Elisabeth Moss for the best Instagram BTS shots of outfits she has been wearing and this red dress by Ryan Roche is a stunner. Also, I finally started watching The Deuce and Maggie does not disappoint. Also here is an interesting piece about why this show is getting it right. The thread that has given me the most joy on Twitter over the last few months is Fiona’s deep dive into the style similarities between Cate Blanchett and Harry Styles. It is truly the gift that keeps on giving and we haven’t even had the Thor promo tour yet. Harry has of course been wearing some A+ suits this year and there isn’t a pattern he isn’t afraid to wear. 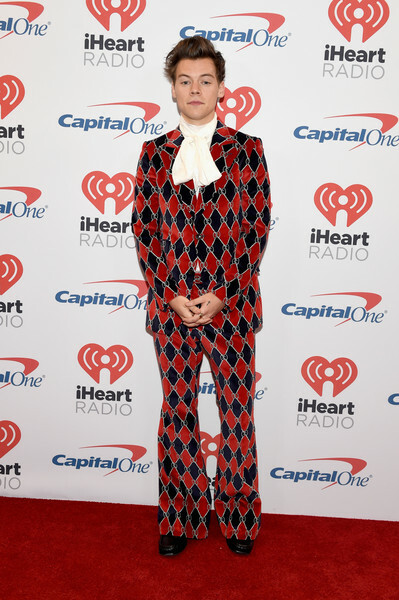 Case in point; this very jester like Gucci (of course) ensemble at the iHeartRadio Music Festival is perfect for a performance and nod to the New Romantics. 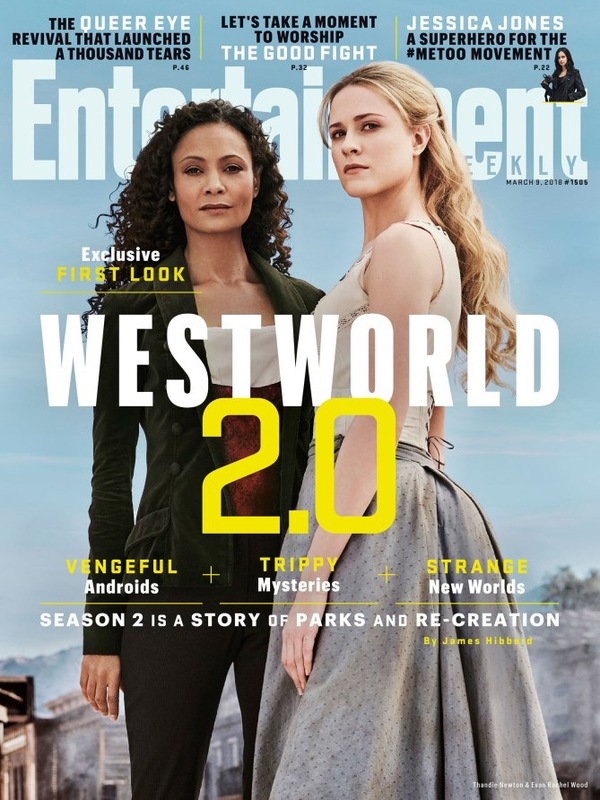 So this is a bumper edition that also includes Emmy FYC events, premieres, the BAFTA TV awards and more. Also continuing the trend of all the color and pattern. I’ve talked on numerous occasions about how thrilled I am when cast members remain friends long after the project has wrapped and the Sisterhood of the Traveling Pants ladies are a prime example of that. Often popping up on each other’s Instagram posts in a way that doesn’t feel phony or like they’re doing it just for the content boost. Basically it is their “just like us” moment and I never feel this way about Blake Lively. 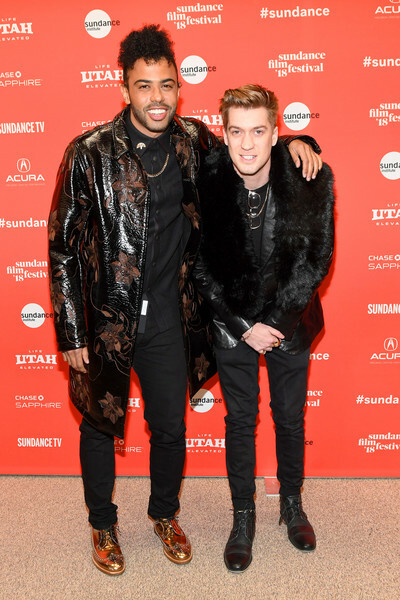 They all turned out for Amber Tamblyn’s directorial debut Paint it Black and there’s no upstaging here; it isn’t a one black blazer fits all situation and three out of the four have gone this route. Alexis Bledel continues her super hot patterned streak and this whole situation is making me want to rewatch those movies. Also whoa that I just found out two Twin Peaks links – yeah I’m late to this – as Amber Tamblyn’s dad is Dr Jacoby and Lively’s half-sister is Lana. Michaela Coel’s mother might be new favorite designer and at the BAFTA TV Awards she went mini in this very fun geometric number. Also going short is Michelle Williams at the Wonderstruck Cannes photocall and this is my favorite of her recent Louis Vuitton looks. 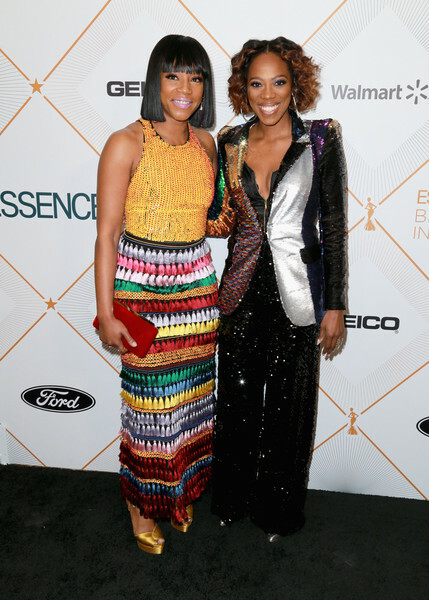 The shape and pattern are fabulous; it manages to be the most Michelle Williams with a slight edge. It has been too long since our last Michelle/Busy bathroom selfie, but Busy’s Alice + Olivia rainbow frock is a delight. 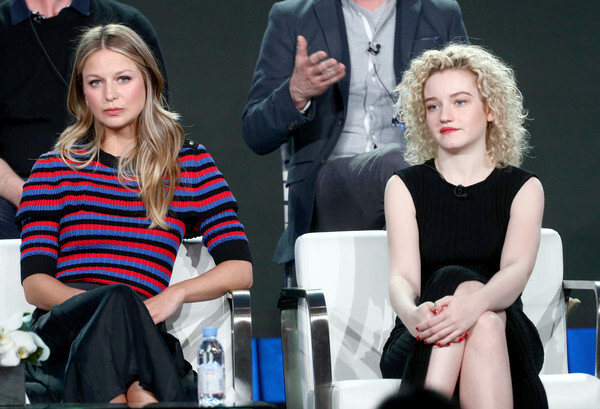 Sadly, there was no Busy Philipps at the upfronts and NBC are still yet to make a decision on her pilot Sackett Sisters so here is my obligatory #MustSeeSackett shout-out. 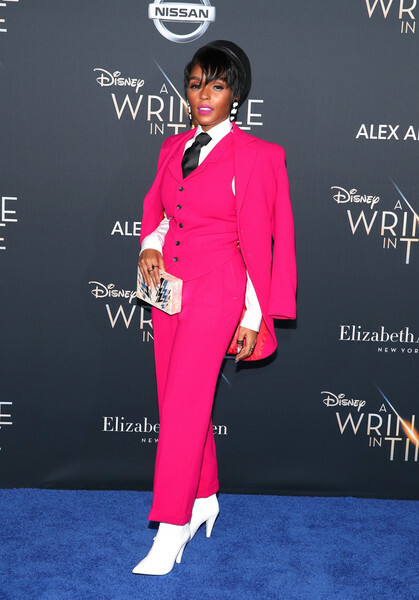 At the ABC upfront, Kerry Washington gives great color blocking cuteness in Fausto Puglisi and nailing the whole daytime event styling. 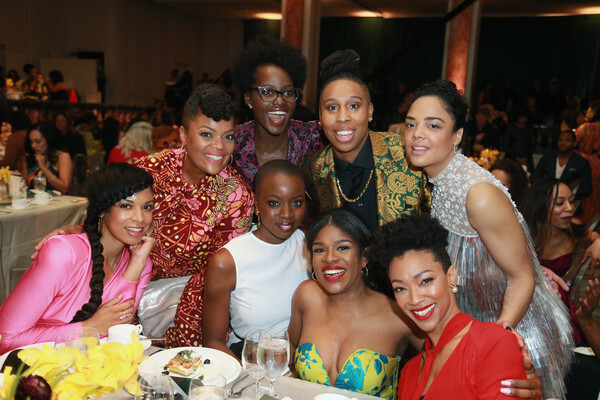 More ABC darlings and Tracee Ellis Ross also got the red memo wearing Ryan Roche (and styled by our fave Karla Welch). 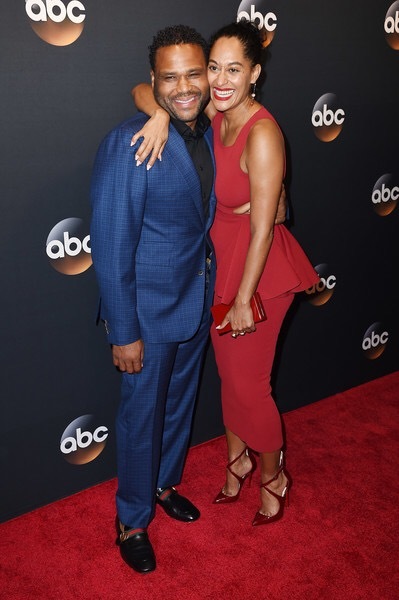 Ross’ TV husband, Anthony Anderson also looks super swish and I still need to catch up on Black-ish, much to my TV watching shame. 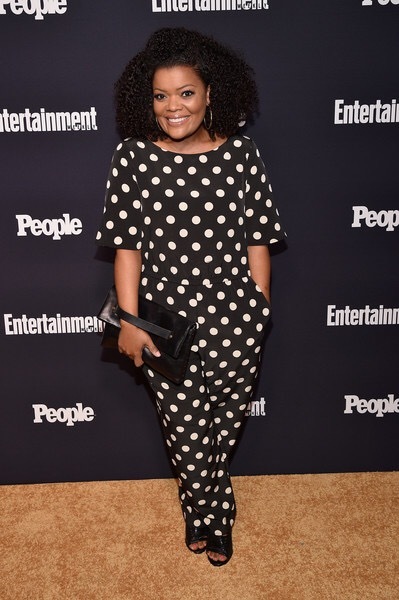 At the EW upfront party, Yvette Nicole Brown is giving me so much jumpsuit inspiration in polka dot Corey Lynn Calter. Such a fun look and also pockets! 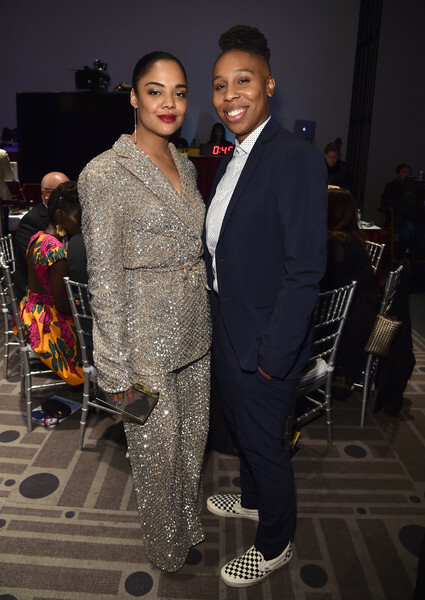 As a big Madewell fan it thrills me to see one of their clutches on the red carpet (because it is nice to see things I can actually afford). 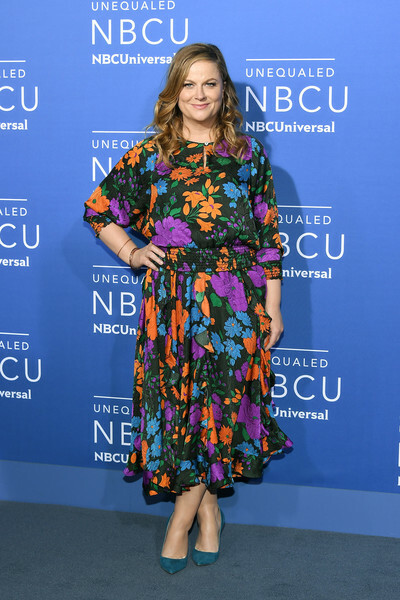 A floral explosion at NBC and more Karla Welch stylist delights (see also America Ferrera) with Amy Poehler in Warm NY. 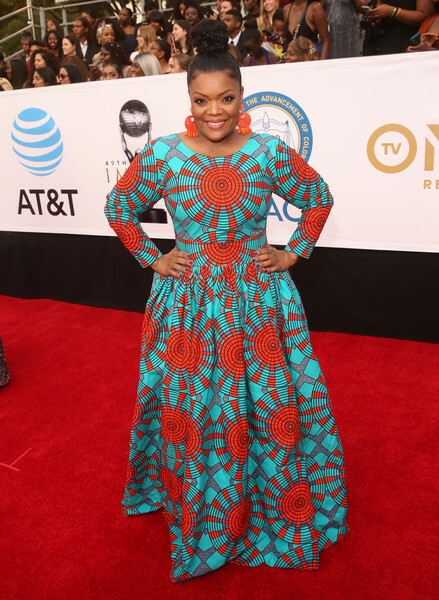 It also pleases me immensely that Poehler is wearing a colorful pump with this colorful frock. Double America Ferrera this week and she’s taking a page from her Sisterhood co-star’s book in Saloni. 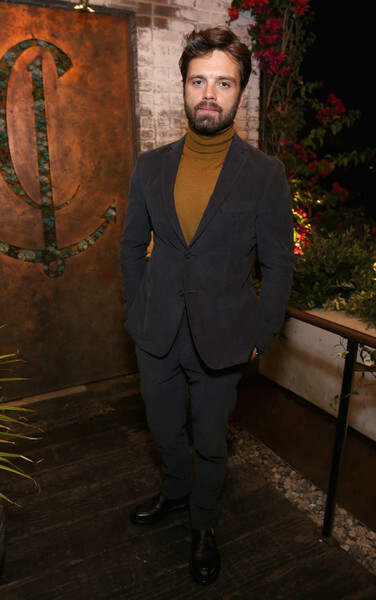 Ferrera’s current co-star, Ben Feldman looks great – that shirt! – until you get to his shoes. I’m actually okay with sneakers with a suit (especially for a daytime event), but not these sneakers. Confession – I really dislike the bottom of Mandy Moore’s skirt and everything I love about this look is above the knee. The lace is too much and it distracts. 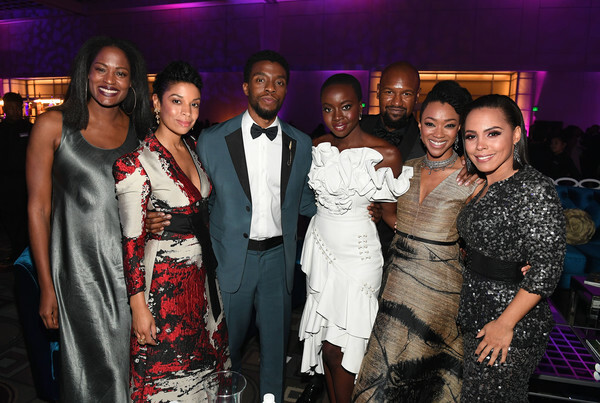 However, the top of this DVF ensemble is amazing and ticks so many boxes – collar, pattern – and I am also feeling very emotional about Ron Cephas Jones standing next to Moore. It wouldn’t be This is Us if I wasn’t getting teary. More florals and this time of the maxi dress variety from Gina Rodriguez in Milly at the CW upfront. What a delight. 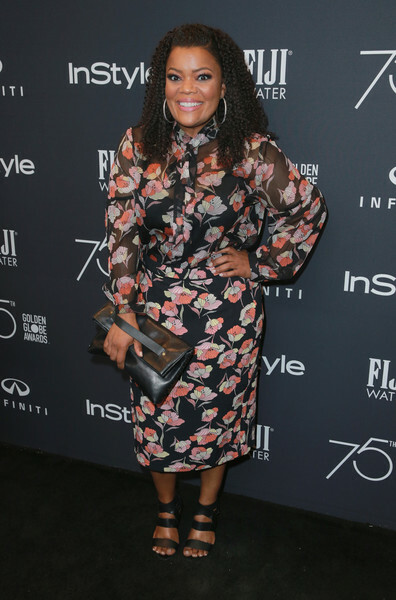 It isn’t all flowers and stripes will forever take my heart; Constance Zimmer’s Tracy Reese frock looks like it is from the same collection as Susan Kelechi Watson’s sweater from earlier this year. Perfect panel attire. 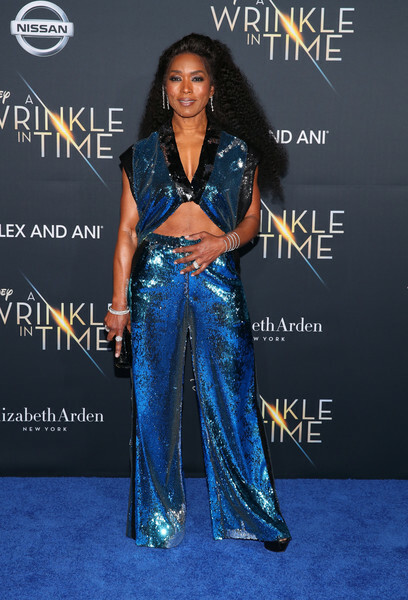 How much do I want to see Judith Light to guest star on The Good Fight wearing this caped dress? I think you can guess the answer. At the Paley Honors: Celebrating Women In Television event, Judith Light crushes everything, as always. 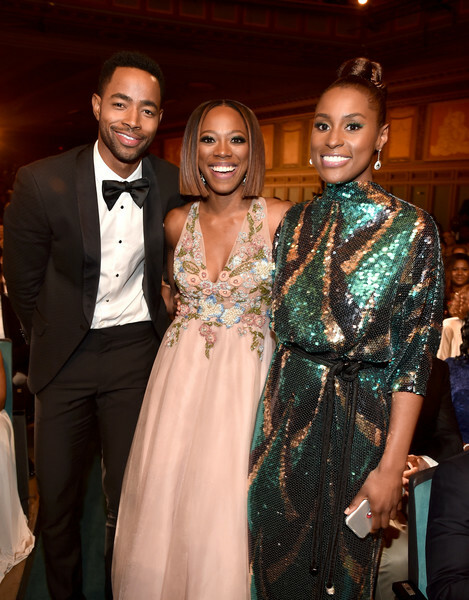 If the pre-Emmys parties are anything to go on then we are in for a treat tomorrow as there are plenty of fabulous outfits on display from #LadySuitWatch2015 to the patterned and super chic dresses below. There’s a strong element of fun at these parties as everyone is relaxed (or at least pretending to be) prior to the big show. 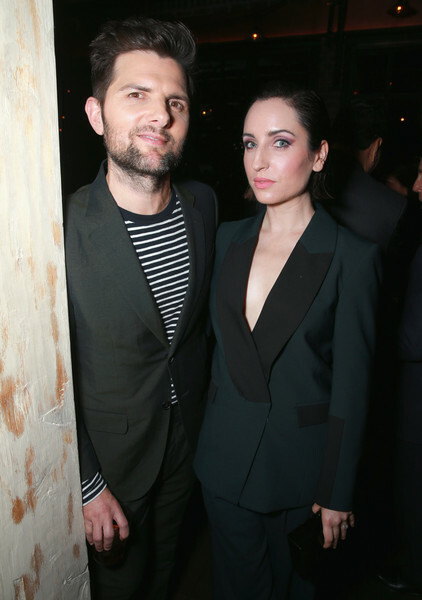 This color, print and the caped sleeves makes Troian Bellisario an instant standout. 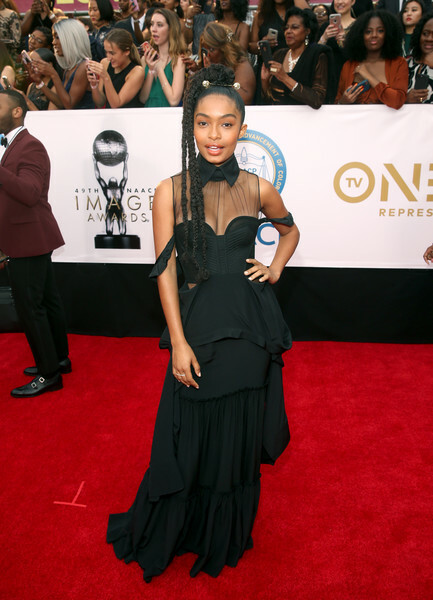 Plus she’s pulling off what could be an awkward length. Plenty of fantastic cute above the knee frocks including Constance Zimmer’s long sleeve black and white floral delight. Currently suffering from UnREAL withdrawal. More florals and an 80s prom feel from Sarah Hyland in Oscar de la Renta. All this needs to complete this theme (or probably doesn’t) is a giant bow. Pockets! And a romantic take on this on trend from Grey’s Anatomy’s Camilla Luddington wearing an A.L.C. dress and Stuart Weitzman heels. Tina Majorino is still rocking one of my fave short hair styles (and I might be biased, but I love a short haircut) and she looks flawless in embellished metallics. A lace delight from Zoe Lister-Jones and a berry lip color I’m now adding to my Wish List (when I find out the shade/brand). Zoe Kazan’s dress is a patchwork perfection and bf Paul Dano looks dashing in all the brown with a hint of blue. I got Olive Kitteridge on DVD (yes I still get those) for my birthday and I’m really looking forward to having my heart broken all over again. 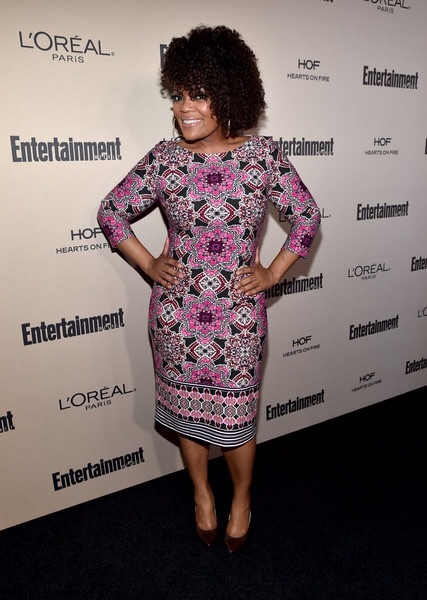 The amazing colourful prints continue with Yvette Nicole Brown in Eliza J. Color blocks for Erinn Hayes and this is giving me all the 70s really cool party vibes. Another ensemble that’s reading my favorite fashion decade (I’m so fine with the heavy 70s influence right now) and Maggie Gyllenhaal needs a cocktail to complete this look. Getting a Cabaret feeling from Gwendoline Christie’s robe like dress and only Christie can wear something like this and induce all the gleeful clapping. 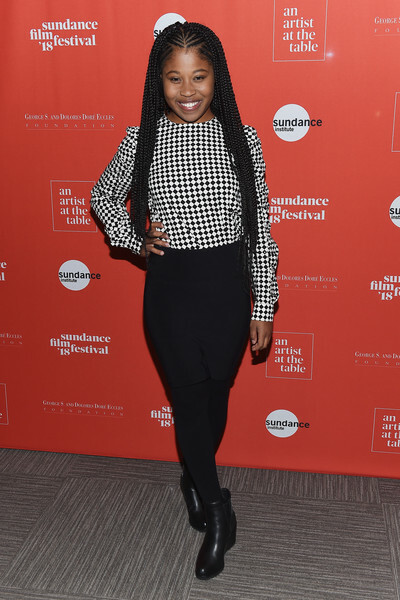 A fun play on black fit and flare with Jane Krawkowski adding a touch of stripes to a classic style. This is a really great silhouette on Christina Hendricks and another black dress triumph. 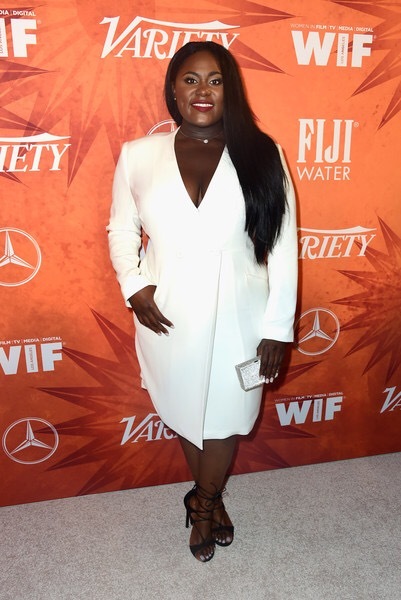 I toyed with putting Danielle Brooks in the #LadySuitWatch2015 post as this Lafayette 148 New York dress is tuxedo inspired, but it doesn’t really matter whichever list Brooks goes on as she looks incredible either way.